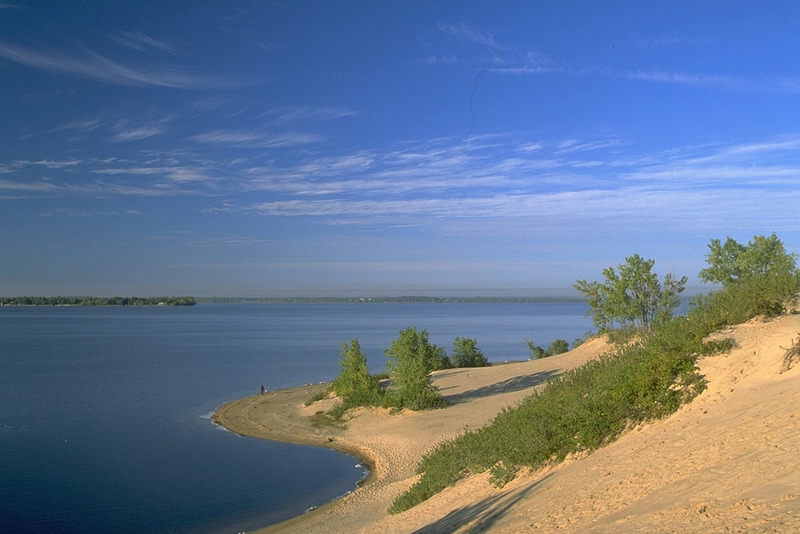 Summer is here and what could be better than having a picnic among the famous sand dunes at Sandbanks Provincial Park. And for those who don't wish to spend the entire afternoon at the beach, we have an optional side trip into the beautiful small town of Picton, Ontario. 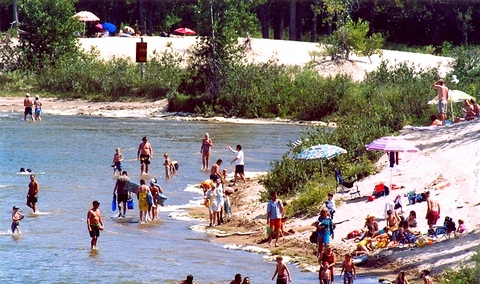 ​Admission to Sandbanks Provincial Park & Dunes beach. An optional side trip to the beautiful small town of Picton. 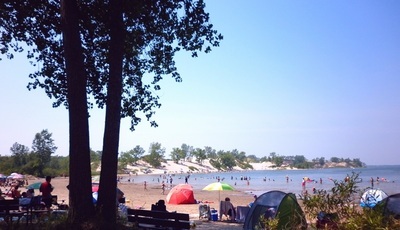 Lunch is NOT included -- please bring your own packed picnic lunch or purchase something from the food counter. Stop at the Big Apple on the way home for dinner and a chance to pick up some apple pies & apple products. Cost of dinner is NOT included in tour price. 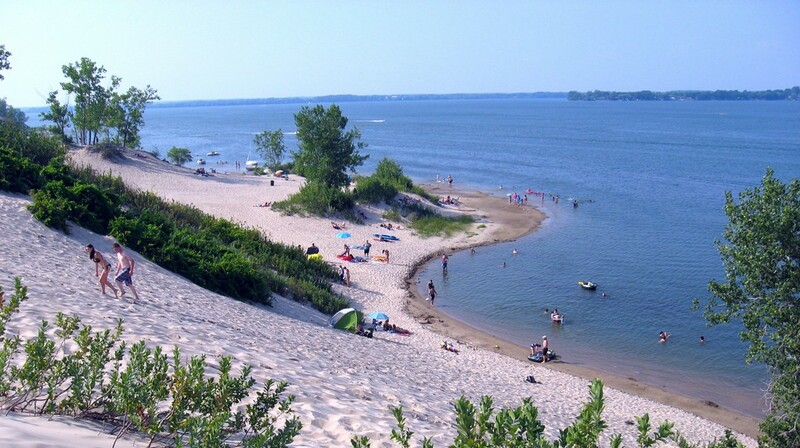 Sandbanks Provincial Park, 3 hours east of Toronto, is known for two of the largest freshwater sandbars in the world! 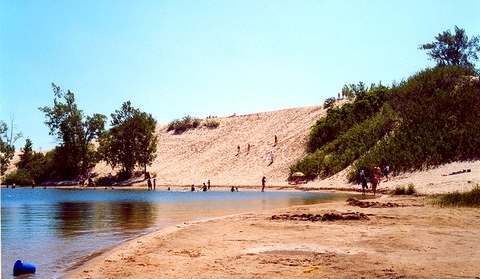 This in turn has resulted in a beach that has giant sand dunes and golden beaches. And we are going for some fun and frolic on this beach and will be having our picnic on these sand dunes! How cool is that? 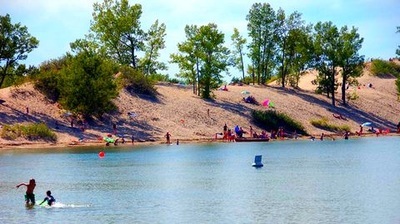 For those who prefer not to spend their entire day at the beach, we will have an optional two hour side trip into the beautiful town of Picton. 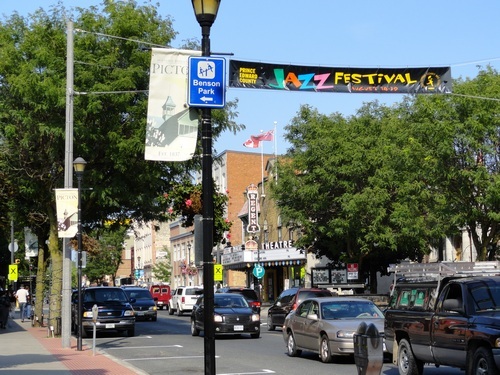 Just wander the main street, enjoy some of the cafe's and bars or just browse the interesting shops. 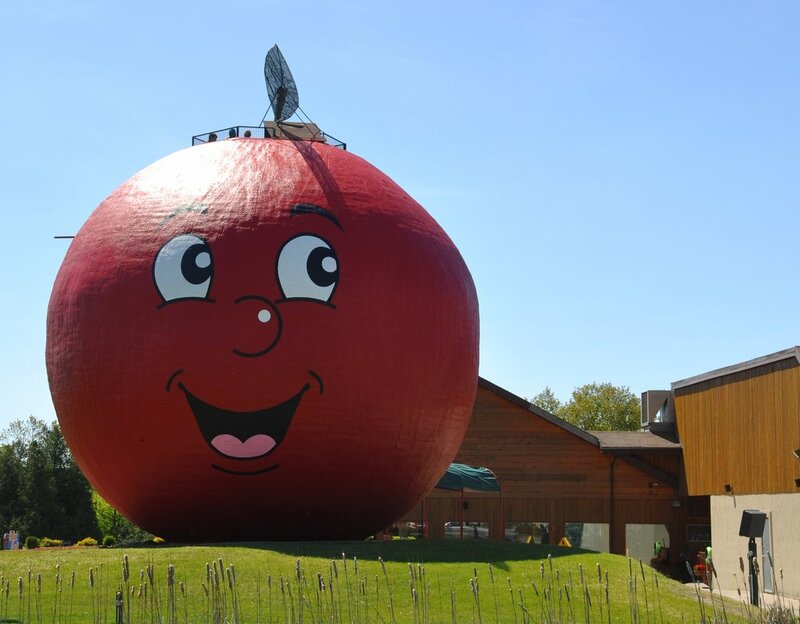 And finally, after our day at the beach, we stop at the Big Apple on our way home for a dinner break and to give you a chance to shop for some delicious pies and other interesting knick knacks in their store. And if you still feel energetic, you can always climb to the observation deck at the top of the big apple to get a bird's eye view of the area.